Charming country home on 5.452 acres in Henderson TX. 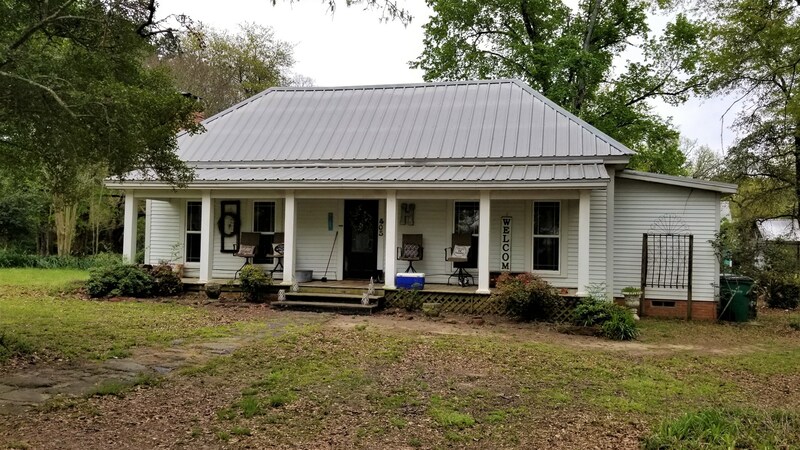 This property has 2 homes, an efficiency building that could be used as a mother-in-law suite or another small home, a large storage building, a barn and a green house. Both homes are currently rented so there is income potential or the property would make a great ranchette! Amber’s love of real estate began as a teenager. She has always loved historic homes, investment properties and diamond-in-the-rough houses. Amber bought her first home when she was 18 and in her early 20s she began with a real estate investment training company. In 2014 Amber joined H5 Auction and Realty, working exclusively with auction clients. In 2017 she obtained her real estate license and is your best choice when it comes to the full scope of auction and real estate services - as she has more than 10 years combined experience. Amber is passionate about helping East Texas transplants (she herself was one too at one point!) and families who are curious about how the auction process works (it isn’t just for folks who are “in a bind”!). She loves serving small communities in and around Longview - Spring Hill, White Oak, Waskom, Diana, New Diana, Lakeport, Tatum, Kilgore, Hallsville, Pine Tree, Lake Cherokee, Gilmer, Harleton and Gladewater. Amber and her husband Eric have two daughters, Aubrey and Avery (who LOVE going to auctions!). Their family loves spending time hanging out at East Texas lakes, grilling and taking family walks with their three dogs, Scarlett, Jax and Sadie.